The first two papers on disease research in band-tailed pigeons have been published. The papers are the result of a collaboration between the UC Davis Wildlife Health Center and the CDFW Wildlife Investigations Lab. In the first article, Trichomonas stableri n. 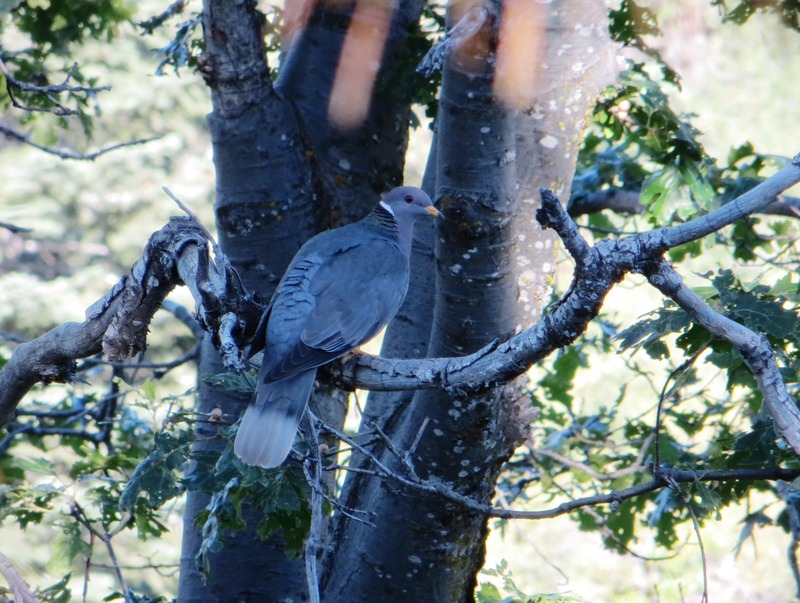 sp., an agent of trichomonosis in Pacific Coast band-tailed pigeons, Yvette Girard, Krysta Rogers, and co-authors, describe a newly discovered parasite found in band-tailed pigeons. The second article, Dual-pathogen etiology of avian trichomonosis in a declining band-tailed pigeon population, discusses rates of infection of Trichomonas parasites in band-tailed pigeons and sympatric avian species. Pacific Coast band-tailed pigeon. Note the characteristic white crescent and iridescent greenish-bronze patch of feathers on the hindneck and black-band on the tail. Photo by Krysta Rogers, 2013. Click here to read the recent UC Davis news release. Click here to read about the new parasite. Click here to read about Trichomonas spp. infection rates. If you have any questions about the project, or would like to report sick or dead band-tailed pigeons, contact Krysta Rogers at 916-358-1662.